Free WordPress themes! 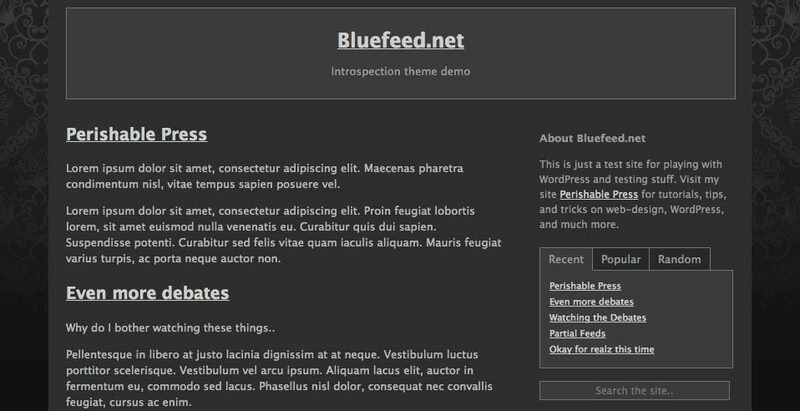 Here you can download my free, open-source shapeSpace starter theme, along with some older themes that once were used here at Perishable Press. For a complete list of themes designed for this site, check out the Alphabet Series Theme Library. All of downloadable themes are open-source (GPL) license and 100% FREE :) — Enjoy! shapeSpace is the starter template that I use for creating my own WordPress themes and WordPress-powered websites. It’s evolved quite a bit along with WordPress over the years, striking what I find to be a good balance between utility, flexibility, and performance. 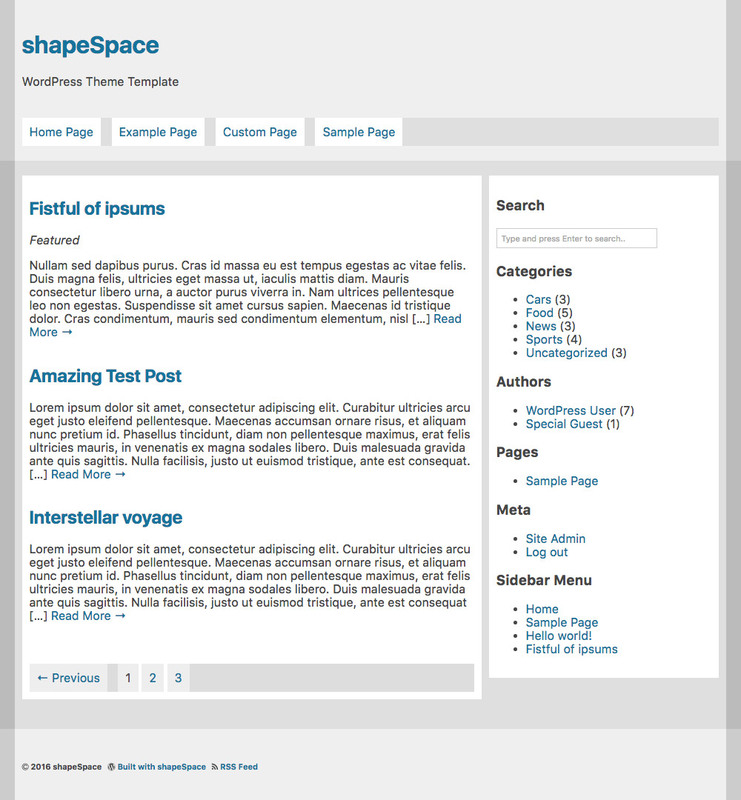 shapeSpace is basically a starter theme that combines a robust set of theme functions with a lightweight set of template files. It’s a “premium” starter template that’s clean, current, and 100% free. Introspection is a clean, simple theme designed to streamline workflow, optimize content, and inspire productivity. In 2005/2006, I started naming the themes designed for Perishable Press in alphabetical order. Most of the alphabet themes primarily were used as alternate themes for Perishable Press, so users could “switch themes” to get a more customized experience. My intention was to release each new alphabet theme to the public, but I’m already well beyond letter V, and have only managed to package around eight of the older themes for public consumption. So with that in mind, here are the nine or so alphabet themes that I’ve managed to make available for download.. The Apathy theme emulates a virtual newspaper. The Bananaz theme is extremely gay! Capture the essence of a proper burial.. The DOS_FX theme pays homage to the DOS OS. The Entropy theme inverts the DOS_FX theme. The Finished theme is finally done. The Garbage theme is a converted B2-Evolution skin. The Headline theme is a streamlined version of Apathy. Information designed exclusively for multimedia chillers. The Jupiter! theme is for broadband users. Totally Killer makeover — now version 2.0! The Lithium theme is a stripped-down version of Jupiter! The minimalist theme is as "minimal" as we get around here. The Optimized theme is an SEO-optimized version of Lithium. 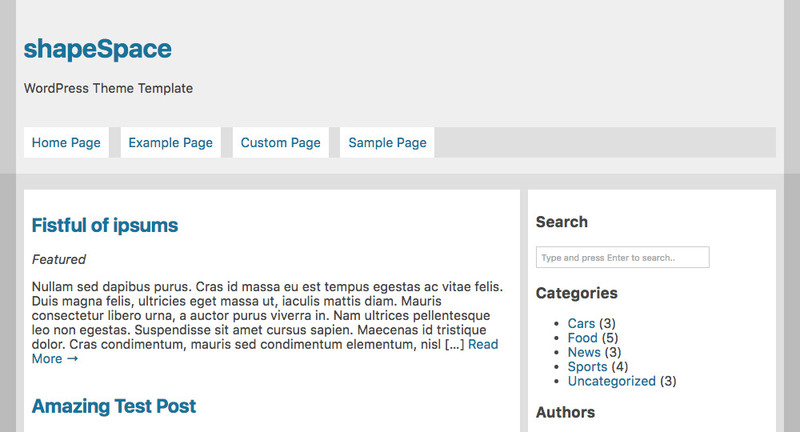 Optimized for SEO: no duplicate content, etc. Updating this post again in July of 2018, currently I’m up to “W” in the alphabet theme series. Here is a list of themes named for the letters “P” thru “W”. Wire – You are here.